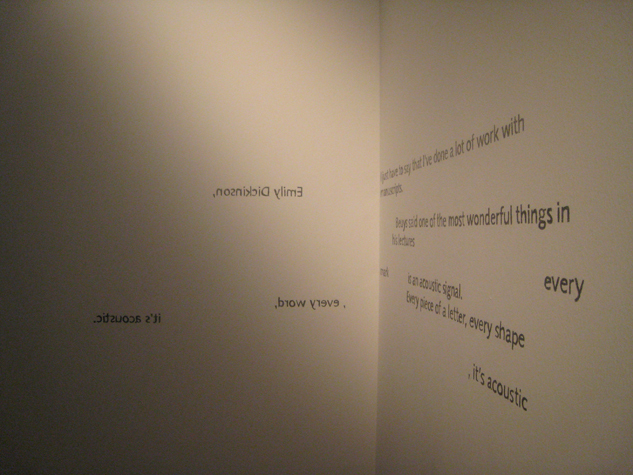 — These are two images of Untitled (I just have to say), a wall drawing that I made for the Tel Aviv CCA as part of the exhibition MUTE: The Politics of No Sound, in July 2010. Besides Tel Aviv, the only other place that Untitled (I just have to say) has been exhibited is in Abu Dhabi, where Jennifer McCoy executed the drawing. David Grubbs was born in Louisville, Kentucky in 1967. He has released an even dozen solo albums, the most recent of which is, THE PLAIN WHERE THE PALACE STOOD (Drag City). 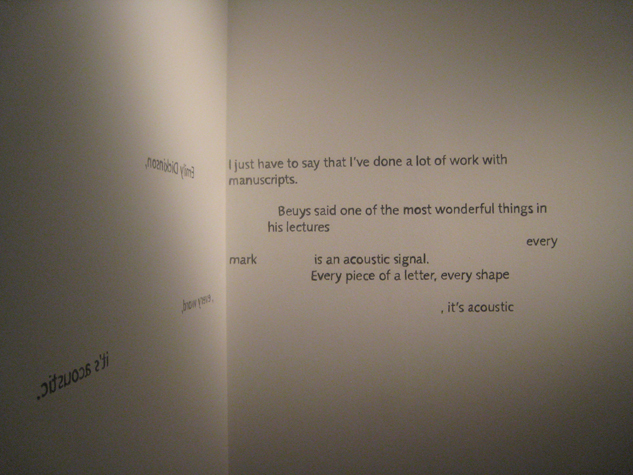 He was a founding member of the groups Gastr del Sol, Bastro, and Squirrel Bait, and is the author of the forthcoming book RECORDS RUIN THE LANDSCAPE: JOHN CAGE, THE SIXTIES, AND SOUND RECORDING (Duke University Press).